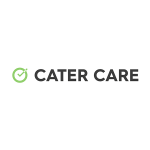 Cater Care Services is accepting applications from duly qualified, experienced & passionate Chefs to be part of our casual relief team servicing mining villages in Queensland on a FIFO basis out of Brisbane. If you are looking for something different and enjoy quality time off to maximise a work/life balance, please apply now. As a company we are successful only through the services and commitment of our employees, demonstrating our values of Care, Pride and Community in all that they do for our internal and external customers. To submit your application please apply via www.catercare.com.au/career. Please be aware that a pre-employment medical and police clearance will be required. Cater Care perpetuates & values workplace diversity and encourages Aboriginal and Torres Strait Islands people to apply. Only those whose background aligns with our needs will be contacted for interview.